My favorite out of the 3 milkshakes served has got to be Manggo Banggo. 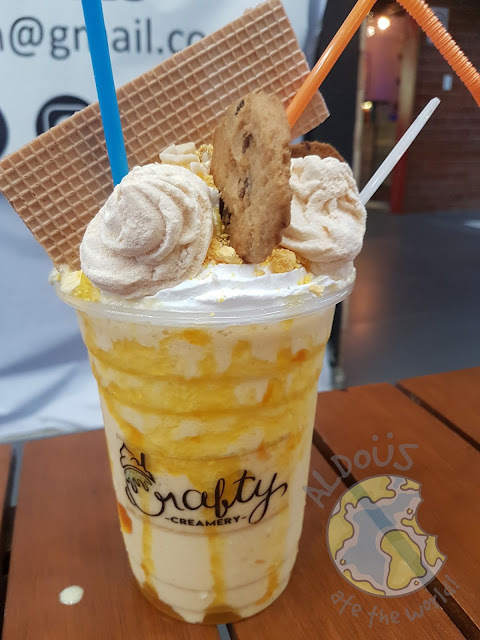 Manggo lovers won't be disappointed as it's got mango ice cream, meringue, mango syrup, mango jam, roasted nuts and butter biscuit. I was literally in cloud 9 with every sip I took. 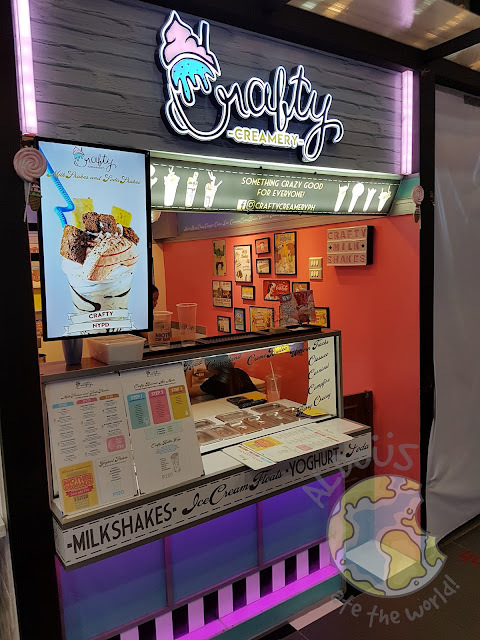 One milkshake perfect for campers (maybe even glampers?) is Campfire. 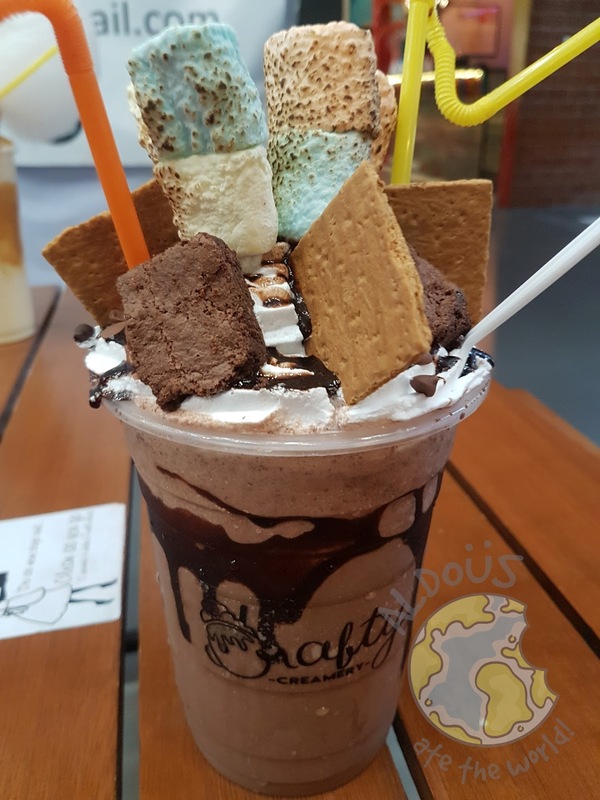 It's packed with choco ice cream, toasted mallows, graham, brownies, choco syrup and choc chips. It's a sinful treat and an unforgettable one too. 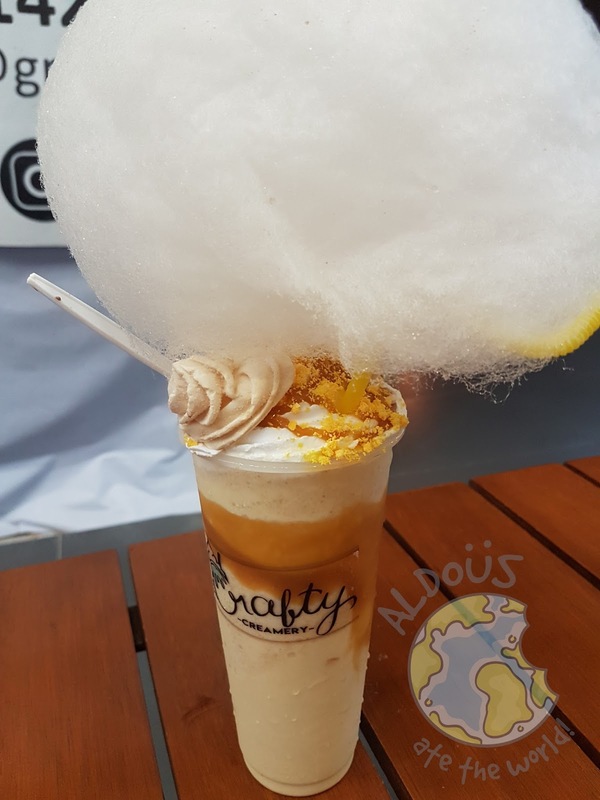 To add a cotton candy burrito, you just have to add P30 and your milkshake becomes even more Instagrammable. You won't need to do that with one of their best sellers, the Creme Brulee though. Get a load of these goodies in it: cheesecake ice cream, meringue caramel, cookies, wafer, cotton candy. To be honest, it was hard to think about starting to drink it because it's such a masterpiece. When you start drinking it, you'll feel glad you did. After enjoying the excellent food selections, don't forget to try the sweet treats at Crafty Creamery. You won't regret it!